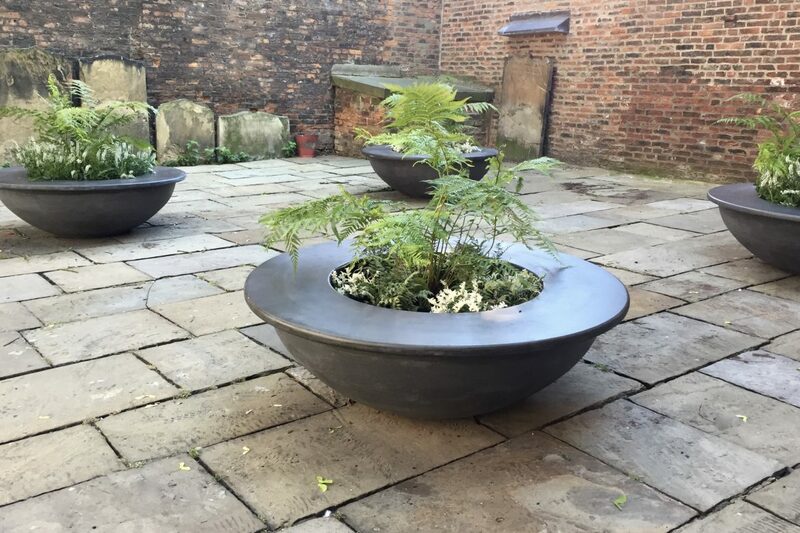 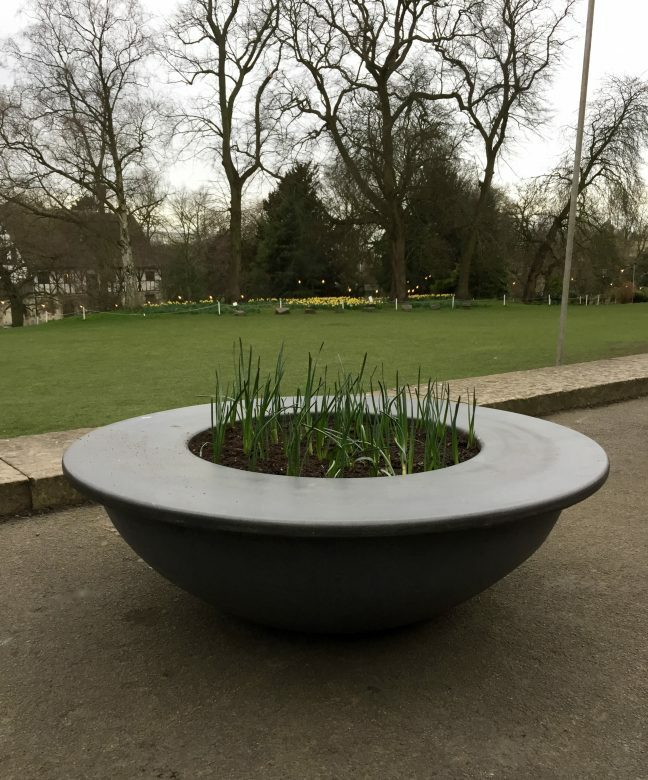 In the summer of 2018, to celebrate 250 years of the Ancient Society of York Florists, the York Civic Trust commissioned Urbis to provide special planters that double up as seats for St Helens churchyard in Davygate. 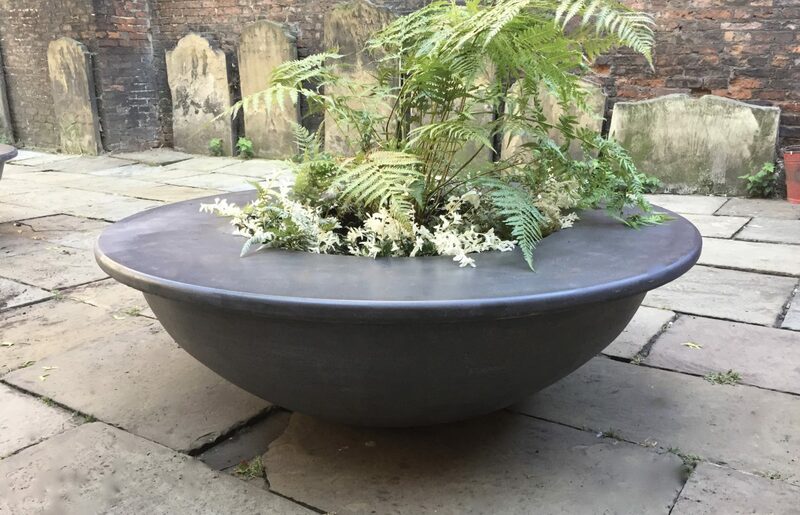 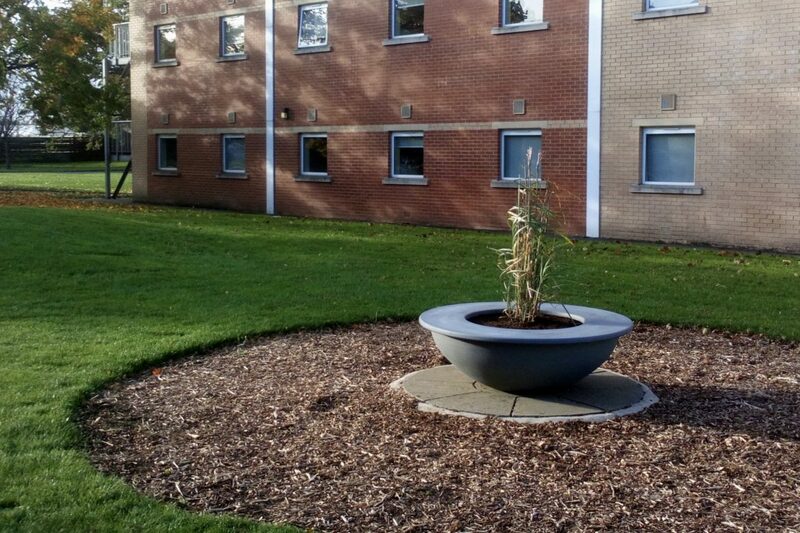 Our Lily bowl was transformed into a circular bench combined with a planter. 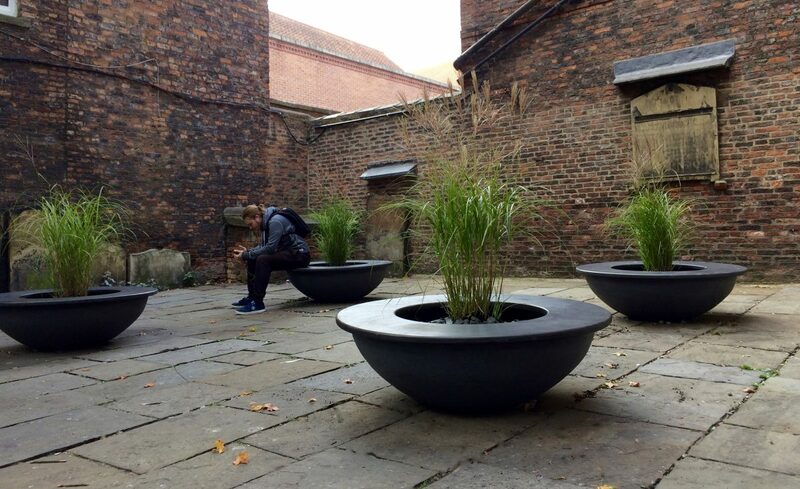 It was such a success that we have added it to our range of furniture.